Cadets can use Cadet Cash Cards at canteen on Monday night during break, or when the canteen comes to FTX weekends. Each card has $1.00 increments that are punched based on the cadet’s purchase. 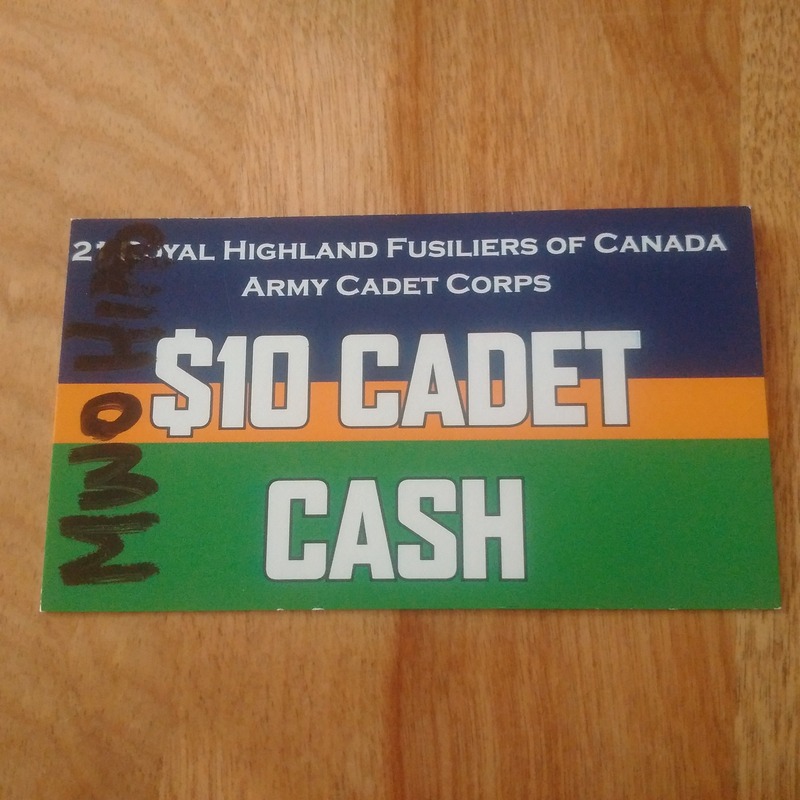 Note: Cadet Cash Cards stay in the cashbox to avoid loss or forgetfulness. Just tell the person running the canteen that you’ve got a card.